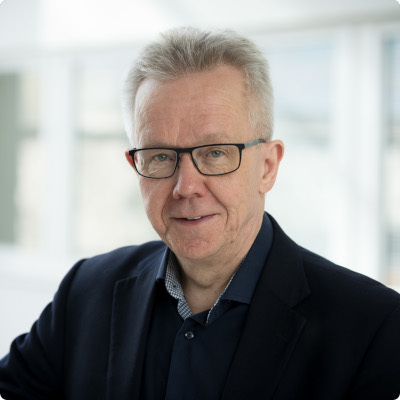 John Eriksson receives a grant from Academy of Finland for the project: “Integrating tissue homeostasis and regeneration – Cytoskeletal intermediate filaments as a signaling hub. Intermediate filaments (IFs) have received significant attention due to the broad range of diseases they have been shown to be associated with. The IF-related diseases are associated with compromised tissue homeostasis as well as failing tissue regeneration and healing. The overriding hypothesis of the proposal is that IF-mediated signaling maintains tissue integrity and homeostasis. The proposed novel concept is that tissue-integrating signaling is linked to a major cytoskeletal system, which in turn can take cues from other signaling pathways, cell shape, migration, and biomechanics. The project aims to uncover how signal processing is managed in concert with tissue organization and biomechanics. The molecular knowledge gained by this study provides great potential for diagnostic, prognostic, and therapeutic approaches to tackle several relevant disease conditions, including regular and chronic wounds, internal injuries, regeneration or degeneration, different fibrotic diseases, and cancer. The project links to the strong community of cytoskeletal and adhesion research in Turku and both gains strength from and strengthens this community.